Koraibashi bridge (高麗橋) over the Higashiyokobori River in Osaka. 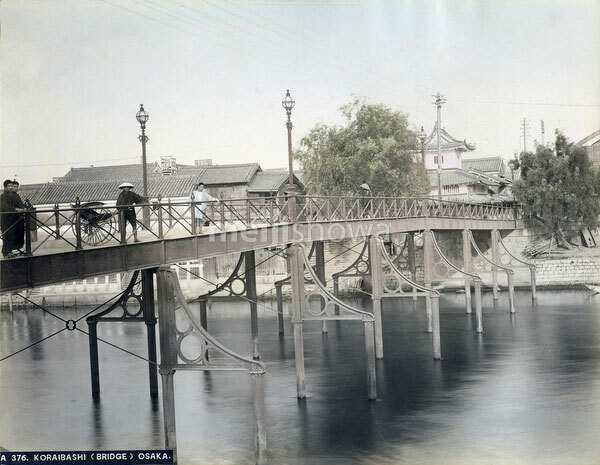 In 1870 (Meiji 3), the original wooden bridge was replaced by an iron bridge built by Nagasaki based Alt & Co. It was the first iron bridge in Osaka. In 1929 (Showa 4), the iron bridge was replaced with a concrete structure.